No matter how our vehicles will be powered in the future, the car will remain a form of personal transportation that offers its owner the freedom to travel when and where they want, in a way that public transport finds it almost impossible to rival. While in the future cars may be shared and able to carry out quite complex tasks autonomously, they will still need to be stored safely. We at SWARCO understand parking management as the implementation of different policies, programs and strategies, which result in a more efficient use of scarce parking resources. 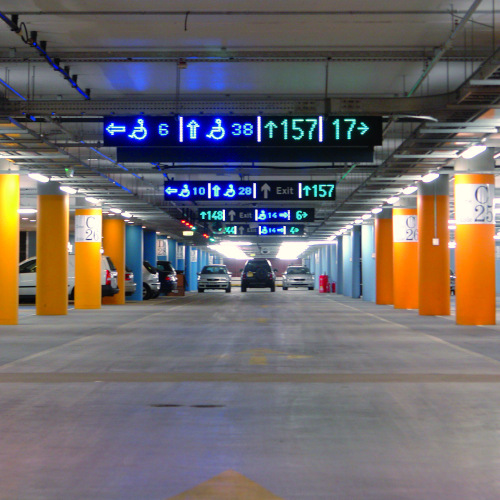 SWARCO’s integrated parking solutions give car park service providers the tools to protect parking assets, manage traffic flows, support modal shift policy with dynamic tariffing and retailers with extensive discount scheme. 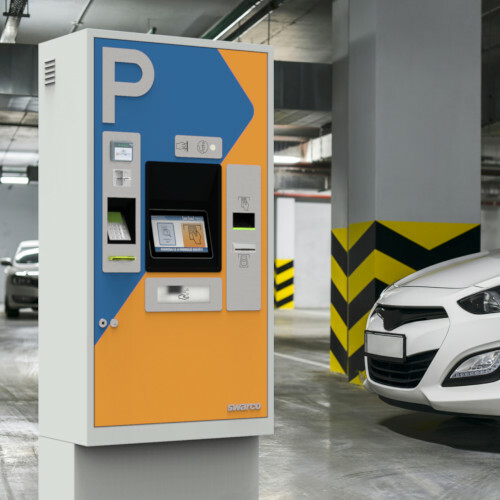 Today, SWARCO provides all the services and technology you would expect from a traditional parking management system; barriers, ticketing and RFID access cards with payment devices taking cards, cash and change facilities. In addition SWARCO can also provide the latest developments in parking technology that can be used to complement existing installations or create completely new solutions to meet parking service providers future challenges with; Licence Plate Recognition; contactless cards for tickets and payment; NFC, Bluetooth, integrated APPs and mobile solutions as well as integrated eMobility to allow drivers to park, charge and pay all in one transaction. Facilitating shopping in "K in Lautern"
SWARCO has long-standing experience in the field of modern parking management and can help cities make their transportation system more efficient and improve overall quality of life for their citizens. Modern parking solutions from SWARCO address the entire user journey starting from home through the journey to the users' destination and back again. The combined solution allows users to plan, reserve and even pay for parking before departure, have access to guidance along the way, find and access the parking area and find a free spot. When the driver is ready to return, they will find it easy to pay and exit the parking area. 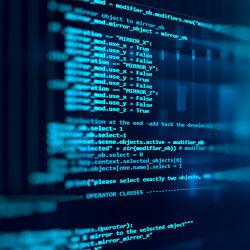 With our tailor-made solutions we utilise technology for detection, communication and management to reduce congestion, make parking stress-free and convenient as well as enable parking operators to control and secure their revenues. With the digitalisation of technology, organisation and payment we will create outstanding convenience for city authorities, car park operators and their customers. The SWARCO family has been delivering parking solutions across the world since the 1960s. Since the very beginning these solutions have been built on a modular approach allowing operators of parking services to build their service in a way that meets their needs. Today, a parking area is an integrated component in the mobility chain offering not only a secure and safe place to leave your personal means of transport, but you can also charge it if you are driving an electrical vehicle and combine services such as public transport in a single ticket. 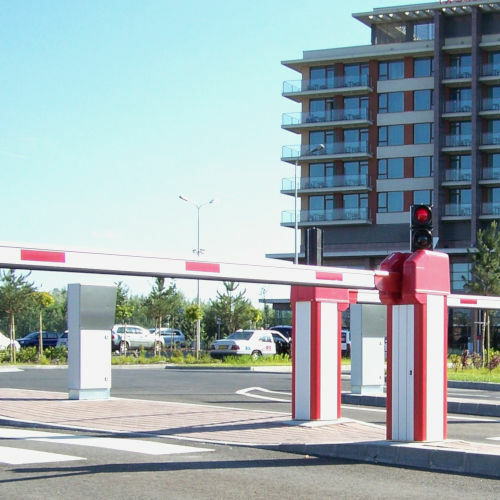 Even though SWARCO offers the ability to provide a fully integrated solution, most of our customers start their journey from one of our core competences in parking: Parking Management Solutions, Parking Guidance Solutions, or Marking Systems for Parking.